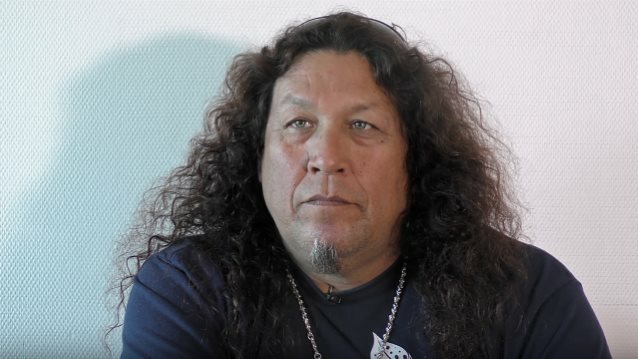 In a brand new interview with the "Music Mania" podcast, TESTAMENT singer Chuck Billy was asked why his band wasn't included in the so-called "Big Four" of 1980s thrash metal — the dominant thrash metal groups that helped bring that genre into the mainstream. "Well, it's difficult to say, 'cause when you say 'Big Four,' you think of the '80s when that was what was referred to as the 'Big Four,' which is correct — those four bands [METALLICA, MEGADETH, SLAYER and ANTHRAX] were the biggest four bands of our era; at that time, all [of them were] at the platinum level, when there was much more acceptability to this music," he said. "Around '91 [or] '92, the grunge scene came in, and all the bands following us — EXODUS and OVERKILL and all those kind of bands — lost that momentum because the industry started changing its format. So when they say [METALLICA, MEGADETH, SLAYER and ANTHRAX are the] 'Big Four,' I say that's correct. We were the next generation of the 'Four' [laughs], but we were just caught in the wrong time… wrong place, wrong time." Billy's latest comments echo those he made in a 2011 interview with Metal Insider. He said at the time: "I think that when it comes down to the 'Big Four,' as far as I can see it, back when metal was at its height in the late '80s/ early 90s, all of those 'Big Four' bands had a ton of great success and were selling millions of records. I think around that same time, we were growing apart as a band and the music market had changed. So I think we were kind of, I guess, as they say, 'on deck in the batting circle' waiting for our success selling millions of records at that time. "So when people say the Big Four, Five or Six, I don't see it that way," he continued. "The 'Big Four,' those four bands had great success selling millions of records. 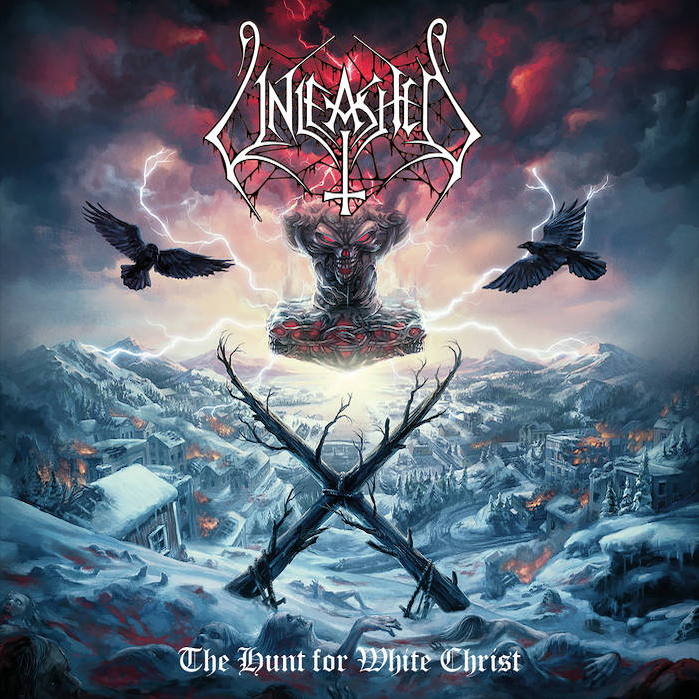 But the rest of us — EXODUS, DEATH ANGEL [and] TESTAMENT — we didn't sell out those festivals or that amount of records. So I don't see us being compared to that. I'd say if metal was still going as strong as it was, yeah, we all stood a chance to sell a lot of records. That's just my take on it. When people talk about that, to me, those four bands are justifiable, and that's it. I don't see any other bands that were the 'Big' whatever." Last year, OVERKILL vocalist Bobby "Blitz" Ellsworth said that "when it comes to being selected and not selected" for inclusion in the "Big Four", "that's a simple accounting issue. When you talk numbers, numbers make the world go around, numbers put food on your table, and numbers put the 'Big Four' in arenas. And they sell enough records to do that… He who sells the most gets the pole positions." MEGADETH mainman Dave Mustaine said in a 2013 interview that EXODUS "probably" should have been included if the "Big Four" were expanded and considered the "Big Five" "because there was nobody else at the time that had that kind of pull or that kind of importance in the metal community. Granted, it was with [late EXODUS singer Paul] Baloff, and Baloff had a voice that you had to have an acquired taste for, but you know, I liked him." METALLICA guitarist Kirk Hammett concurred, telling U.K.'s Metal Hammer magazine in a 2014 interview that "EXODUS in the '80s had some bona fide problems, but I think their first album [1985's 'Bonded By Blood'] is just as good as [METALLICA's debut] 'Kill 'Em All'. We were just playing the music we wanted to hear because no one else was playing it and it wasn't being played on the radio. It was only a small group of people who knew about it and it was almost elitist in that 'No posers allowed!' thing."